Rollo Consolidated High School "Eagles"
Rollo is a tiny hamlet located in southwestern DeKalb County in northern Illinois. 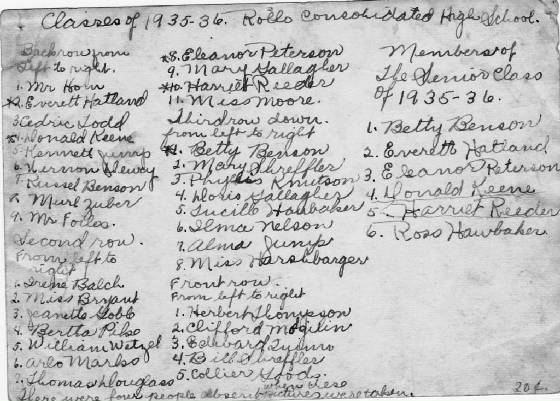 There is no population listing for the town of Rollo in the 2000 Illinois Census report, however we are told there are only two houses left in the area which once was the village of Rollo. 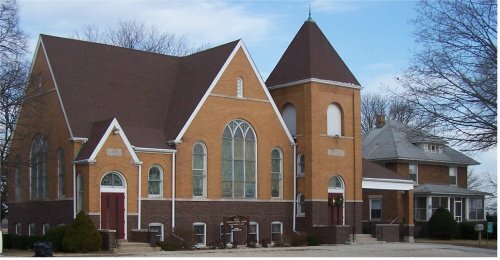 The town was founded in 1885 along a railroad line that connected Spring Valley and DeKalb. Rollo is located on the DeKalb County roadways of County Road 6 and Suydam Road. The Chicago & Northwestern Railroad cuts by the western edge of the town limits. The nearest town of note might be Mendota located 14 miles to the southwest of Rollo. Rollo is named after a character, "Little Rollo", from the children's book series of the day, The Rover Boys. In 1886 a school building was moved to the west of edge of Rollo. A well was built near the school and its cement frame was still visible in the 1960s. 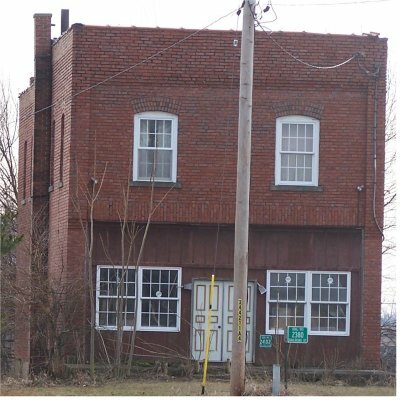 This building was moved to a nearby location in 1912 and in the 1960s, possibly even still today, serves as the Rollo Township Hall. It was in the year 1900 that interest arose in developing a consolidated school district for the many country schools in the Rollo area. Several years of planning took place until finally the Rollo School District joined with seven Country School Districts to form a consolidated school district. A school building, it was decided, would be built and located on the western edge of Rollo. The land for this building was donated by Harvey and Nellie Weddell Bullis. Several visits were made to McNabb Swaney High School (also on this site) in attempts to learn from and improve upon the Swaney efforts. 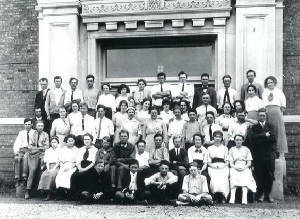 The new building was finished and the children all moved in on Jan. 13, 1913. There were very few other buildings in Rollo even at this time. 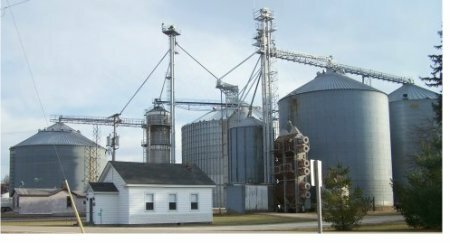 A general store, teacher's house, town hall, train depot, grain elevator, and a church along with but a few houses actually stood inside the town limits. Support for the school was overwhelming though. Christmas plays, spring "May Day" parties, and special events were known to draw crowds of well over 200 people. This in spite of Rollo's population never exceeding 100 people, normally much less. A gymnasium was added to the school grounds in 1917. The only problem was this building was not connected to the school building where the locker and shower rooms were. The boys of both teams would dash from one building to the other before and after games. It was said that the Rollo boys had a distinct advantage in the early years of the gym's use. Hot boilers were located in the corners of gym. The out of bounds lines went right up to the point where the boilers sat. The Rollo boys were known to set "traps" in the corner near the boilers, causing more than one lad from the visiting team to lose his concentration protecting the ball. Dressing rooms were added to the gymnasium building in 1936. A new stage was added to the building in 1915. 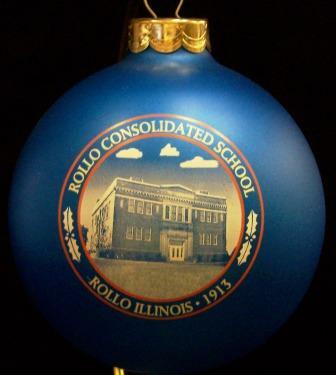 For nearly four decades Rollo high school proudly served its community. 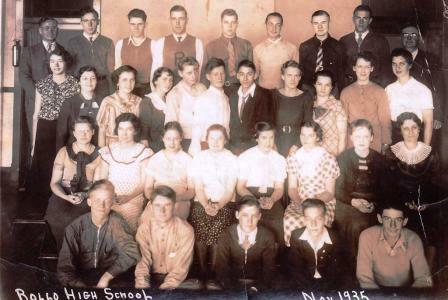 For some of those years Rollo was but a three-year high school with the senior class attending school at nearby Shabbona or Earlville. 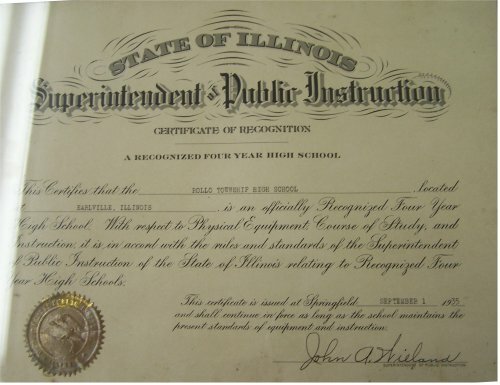 It was in 1935 that Rollo High School received a four-year high school accreditation. Rollo High School's new building was all inclusive for grades K - 12. 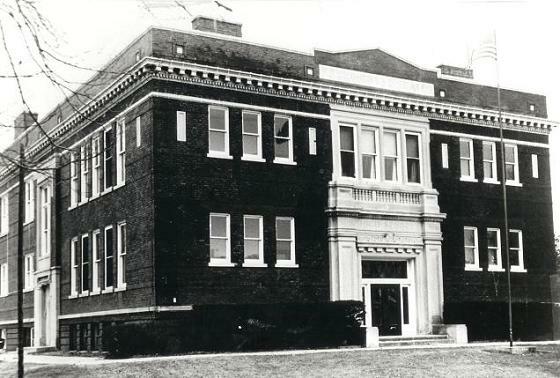 The year the Rollo School System closed there were a total of 40 kids in the entire school (K - 12). 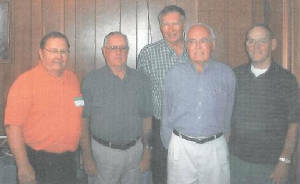 The final graduating high school class at Rollo (1954) had a total of six kids (see photo below). In fact the largest enrollment in the high school's history of grades 9 - 12 was 16 students! It was in the late 1940s and early 1950s that Rollo residents began consolidation talks with its neighbor to the north, Shabbona. As stated in report I was fortunate enough to read, the Rollo High School District fell victim to the very item which was the cause for its creation, progress. It was felt with the developments in transportation and financial gains by combining school districts that the Rollo kids would benefit more by consolidating their school district with a larger school district. 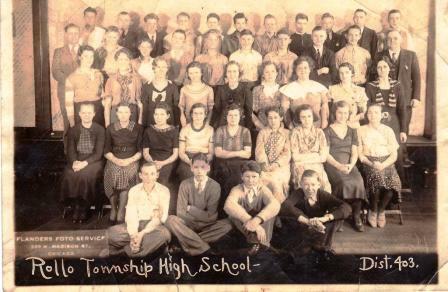 Rollo High School was deactivated in 1954 with its high school students bused to Shabonna for their education. A - School foster the community spirit. Adults use building and equipment for social affairs, grange, short course, etc. A - School gives the children better and more schooling, encourages college education, raises the standard of living. A - No objections from anyone. A - Community spirit created around the school. Better school advantages. Vocational education a factor in the lives of boys and girls. Big school budget. More money. The wishes of the donors of the land, Harvey and Nellie Weddell Bullis, were that if the land were to no longer be used as a school ground it should be returned to the ownership of their heirs. The children of Harvey and Nellie graciously donated the property to Paw Paw Township who currently utilize the former Rollo School grounds as a park. We're Royal Blue and Orange Too!" Rollo High School offered baseball, track, and, of course, basketball. In the early fall amidst the smell of freshly cut crops the Rollo boys toured the county playing baseball against all comers. In the middle of the fall came the sport of choice, basketball. Track was offered in the spring. No IHSA success was listed in track or baseball. The early autumn Rollo basketball games of the late 1910s and early 1920s were contested on a hard dirt surface outside in the school yard. As the weather got cooler, and the night-sunlight shorter, games were moved indoors. This was probably not a treat in the eyes of their opponents. The Rollo boys gained a distinct advantage indoors as their home gym was rather unique. The overhead beams hung so low that long shots had to be arched over the beams to have a chance at going in. Full court passes were not even an option. The team competed in the Green River Valley Conference against foes from the towns of Paw Paw, Compton, Kings, Steward, Lee, Franklin Grove, and Lee Center. Of these schools only Paw Paw remains in service today. The Rollo boys also competed in the Little Ten Conference. The Rollo High School boys proved they could play anywhere. Two District titles were won in boys basketball in their 39 year history. 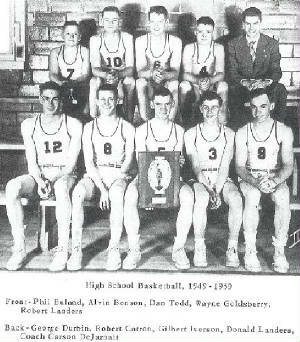 In fact, at one point the Rollo boys won five consecutive Green River Valley Conference tournament titles! Another great story is that of player Alvin Benson, who competed on Rollo's last District title team of 1950. 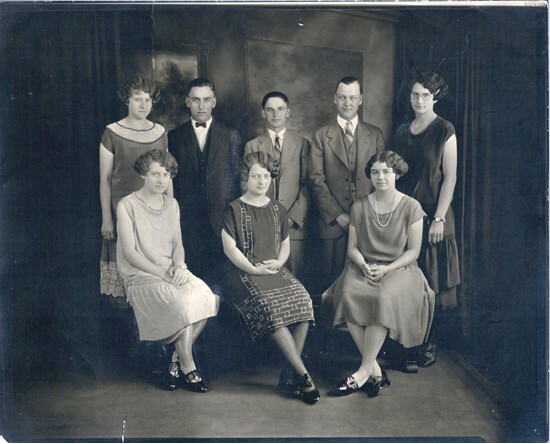 What made Alvin unique was the fact that he competed in spite of having full use of his right arm only (check out # "8", 2nd from the left in the front row, in photo to the right). Alvin was born without the bottom portion of his left arm but in no way considered himself handicapped. As was stated to this writer, you do not miss what you never had. 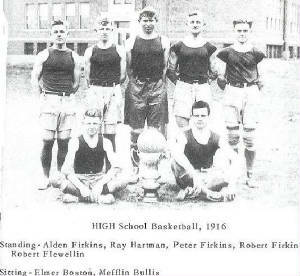 Alvin's cousin, Russell, played on Rollo's other District Championship team in 1938. Rollo High School's two District title teams are listed below. Even the coach's names are listed. One coach, Carson DeJarnatt, made two other coaching stops after leaving Rollo including a stay at Sterling High School. DeJarnatt also coached Baseball and Track during his tenure at Rollo. 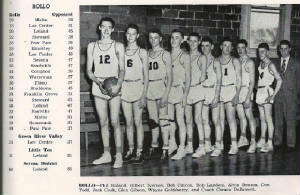 The Rollo kids stayed competitive to the very end, finishing the school's basketball life at 17 - 7 in 1954. This completed a string of four consecutive winning seasons to close the high school basketball life of Rollo. Unfortunately team records of the District Champions and other great RHS teams are not available. Some scores involving Rollo in the IHSA Tournament were located on a website titled "Illinois Postseason Basketball Scores." These scores are posted below. Earlville lost to Leland in 2nd Rd. 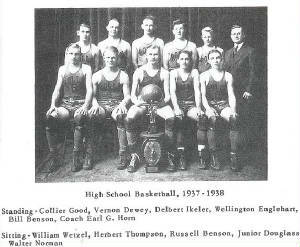 1938-39 through 1944-45 Postseason scores, records, and coach's names needed. PAW PAW (58): Carnahan 15, Torman 14, Daw 10, Wells 7, Marks 5, Henry 5, Jones 2. ROLLO (42): C. McDowell 13, F. McDowell 9, Thoms 9, Hartman 8, Horn 2. See article written below by Brian Hoxsey! The Eagles entered the Leland District Tournament and were rated last of the eight teams. Rollo had defeated Earlville and Paw Paw in the regular season and probably should have been rated ahead of them. Their head coach was Carson DeJarnatt, who went on to be a Hall of Fame wrestling coach at Sterling High School. Rollo had finished the previous season under DeJarnatt with just three wins in 23 games, but was 13-9 starting post season play and had finished 5-5 in Little Ten Conference play. 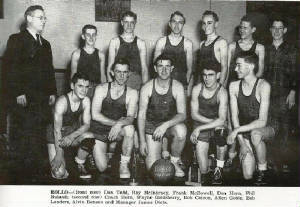 There were ten boys in the school in1950 and nine actually played basketball, but one was injured at tournament time and two of the remaining eight were freshman and didn't play much. It was left up to five seniors and one junior to lead the team. In their contest against Paw Paw, Rollo held a 11-7 lead after one quarter, but the Bulldogs eventually tied the game at 19-all by halftime. Phil Buland (12 points), Rollo's center, controlled the lane in the third frame as the Eagles were in front by six points in the final seconds of the third period before Benson nailed a one-handed shot from half court as the gun sounded to bring the Rollo fans to their feet. The Eagles extended their advantage to 41-29 in the initial minutes of the final quarter and held on for a 48-38 win to move them into the title game against defending district tournament champ Minooka. Don Landers backed Buland with 10 points, Todd had eight. Leland, who had upset LTC regular season and tournament champion Serena in the quarterfinals, fell to the much taller Minooka club in the semifinals. The Panthers never led, but hung with the Indians the entire game. Top-seed Minooka used their clear height advantage over Rollo to grab a 26-21 lead at intermission and were still ahead 34-28 entering the final quarter. The Eagles' Robert Catron opened the fourth with a basket from short range, then Wayne Goldsberry hit one from long distance and Buland followed with a lay up to tie the score. Goldsberry's basket then gave the underdogs the lead and the Rollo crowd exploded. The Eagles continued to hit baskets from all over the court and totally out-played the Indians in the final minutes; in fact Rollo out-pointed Minooka 19-1 in the final eight minutes and scored 24 of the last 25 points in the game to capture the improbable championship with a 47-35 triumph and a trip to the Ottawa Regional. Buland led Rollo with 15 points, Catron added nine and Goldsberry and Todd eight each. One side note to the game was that Minooka's sophomore point-guard was Al Stegman. Stegman, a Illinois Basketball Coaches Association Hall of Famer, was a longtime coach at Harding Grade School and Serena High School. 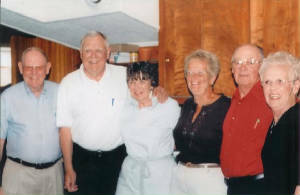 He also was Serena's athletic director for many years and the LTC secretary for over a decade. The day of Rollo's Regional opener against Marseilles saw a tremendous blizzard hit the area. Many fans thought the game would be canceled because of the bad weather. The officials from Kankakee couldn't get to the game, but tournament officials hastily arranged for local Ottawa officials to do the game. The Eagles made the long treacherous trip to Ottawa and had a 47-46 lead in the final moments of the game. However Panther center Mike Trad converted a pair of free throws in the last seconds to end Rollo's "Cinderella" season with a 49-47 loss. It was a rough game for one of the officials as well as referee Eddie Chlaus fell and broke a bone in his arm, but continued to call the game. Rollo finished the season with a 16-9 record and of the 47 district tournament champions' state wide, was probably the smallest and most surprising winners. 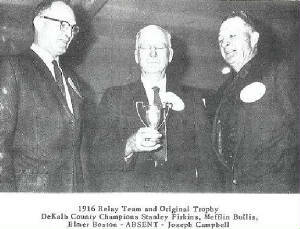 Photo taken 1963 - Original Trophy Too! If you have any further track and field stories to share regarding the Rollo High School Eagles please share them with us so we can add them to the Rollo High School lore.. 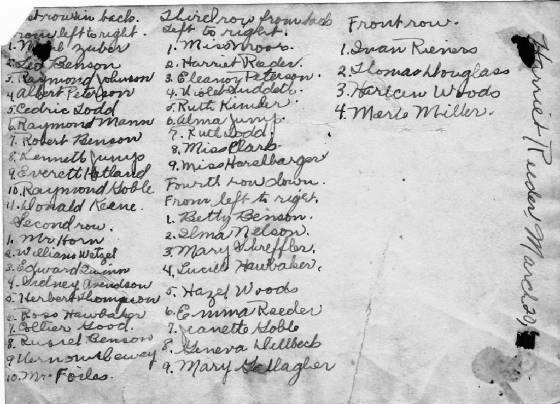 Results from a 1929 track meet between Rollo, Plano, Sandwich, Waterman, Leland, and Sheridan were provided by Linda Hess. Looks like a Rollo HS athlete named Rockaband held his own in this meet! After the high school closed Rollo enjoyed several more years of great athletic contests through the eyes of the little Eagles. 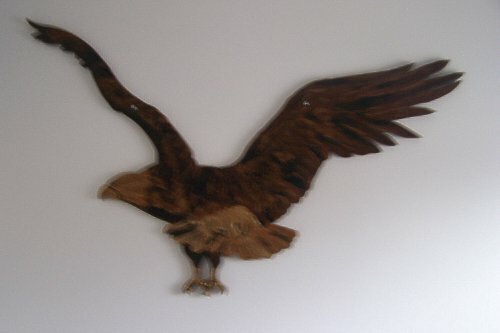 The Rollo Grade School Eagles finished the 1959-60 season with a record of 14 - 1 and the 1960-61 season at 14 - 5. Many great athletes of future Shabonna HS teams were from the little hamlet of Rollo. There is never a heart free from pain. Of losing something dear you've known. Since He reeps the field He has sown. 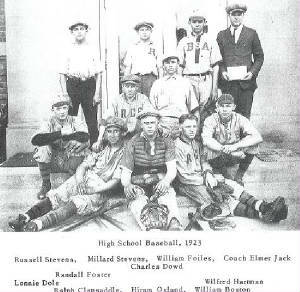 Thank you to Charles Foster (pictured in the color photo above to the right) for providing this massive amount of information regarding Rollo High School, one of my favorite pages on this site. You can tell Rollo High School and the village of Rollo had a short but VERY special time in Illinois High School history. Thank you also to Judy Svendsen for an informative and interesting tour of the Paw Paw Township Building which now sits on the site of the former school building. Great job Charles and Judy! The Eagle Spirit Lives On!! The third Sunday of every September, every year, brings the Rollo High School Eagle alumni home to roost. 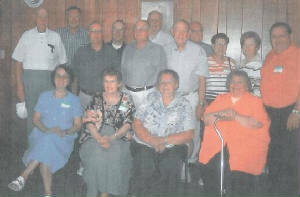 A reunion is held at the church in Rollo with a luncheon held afterward. 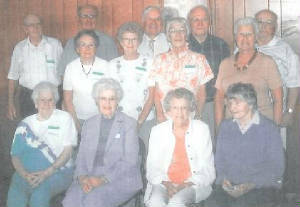 The pictures below were taken on September 18, 2005, at the most recent alumni reunion. This is proof positive that the Eagle spirit lives on with great pride! !